The Lake Bella Vista Community is a collection of two lakes, parks and green areas, and a private water system serving 770 homesites. It is only twelve miles N.E. of Grand Rapids and minutes from downtown Rockford. Lake Bella Vista is a unique community providing the luxury of lake living within a neighborhood setting. Lake Bella Vista is a private 250 acre all sports lake with miles of unique and interesting shoreline. 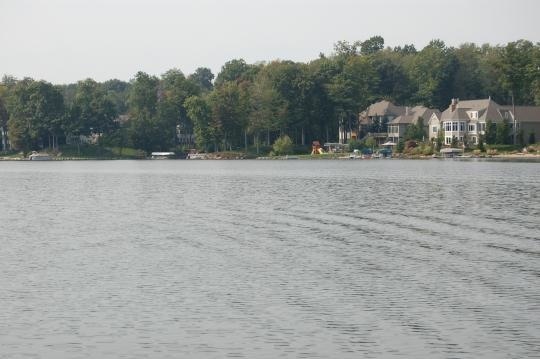 The lake has 247 homesites and many community green areas surrounding its winding shores. 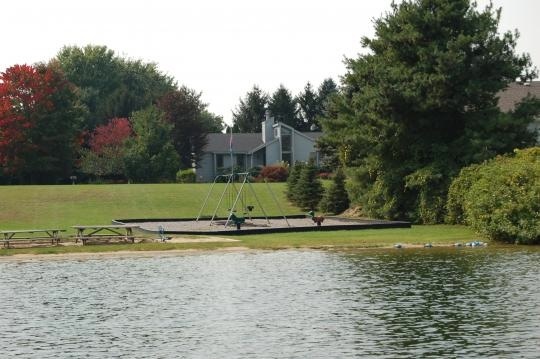 Lake Bella Vista is a private lake limiting lake access to association members only. Year around activities such as fishing, water sports, watching the sunset, ice skating or simply enjoying the view are a few highlights of Lake Bella Vista living. 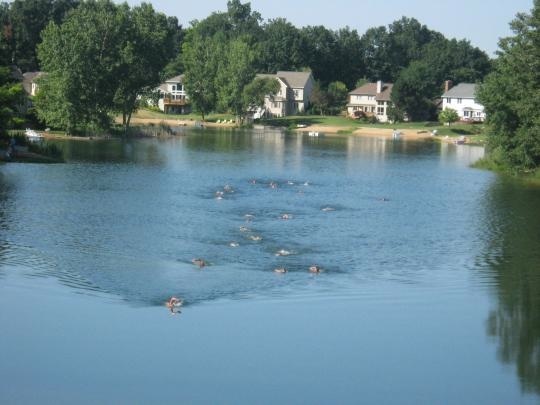 North Lake Bella Vista is a 12 acre peaceful lake surrounded by 48 homesites and 1 community green area. It's the perfect spot for a paddle boat ride or a quiet evening of fishing. The Lake Bella Vista community boasts many parks and green areas. Some of these parks have waterfront access. Many of the green areas have nature trails and bike trails for outdoor exploration. Other amenities such as playground equipment and a sand volley ball court can be found in the community parks. The parks and green areas provide endless opportunities for fun! 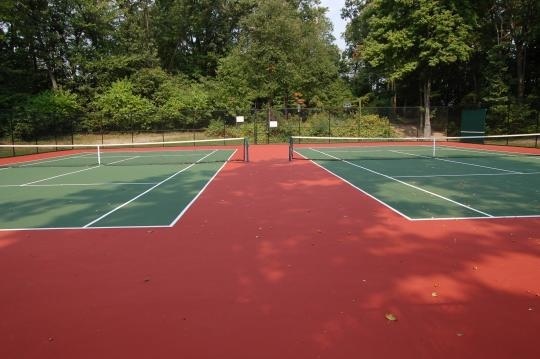 The Lake Bella Vista Community provides two outdoor tennis courts for residents. Tennis enthusiasts within the community enjoy this special amenity.